The upmarket Cape Town Atlantic Seaboard suburbs of Fresnaye and Bantry Bay took a perceptible knock this year with a significant dip in sales volumes compared to recent years - but there has been an encouraging upsurge in market activity since the end of the third quarter. This is according to Lara Kaplan and Fran Segal, Area Specialists for Lew Geffen Sotheby’s International Realty, who say they have seen a marked uptick in enquiries during the last two months, especially in the entry- to mid-level sectors. Citing Propstats data, CEO Brendan Miller says this renewed activity is a very welcoming shift after Fresnaye and Bantry Bay saw a 22.7% and 27.2% year-on-year drop in sales volumes, respectively, during the first two quarters of 2018. “Between January and June last year, a total of 22 transactions in Fresnaye realised a combined value of R347.22 million at an average sale price of R15.78 million compared to 2018 when 17 transactions with a total value R228.75 million and an average selling price of R13.45 million were concluded,” say the agents. According to Kaplan and Segal, there are also considerably more properties on the market this year, with many sellers reinvesting offshore rather than buying new homes locally. “Unfortunately, many homeowners, especially at the upper end, are becoming increasingly nervous about the country’s economic stability, the ongoing political turmoil and the land expropriation issue which have all seriously eroded investor confidence,” say the agents. They add that whilst owners are by no means ‘giving’ their properties away, the shift to a buyer’s market has seen sale prices drop by between 10% and 15% in most sectors this year, with the best deals predominantly found in the housing sector. “The sectional title market has generally held up considerably better than the housing sector on the Atlantic Seaboard, but not all suburbs have fared equally well,” says Miller. Miller says in the housing sector, the average selling price in both suburbs dipped this year, from R17.69 million and R16.62 million, respectively, to R13.35 million and R15.94 million, with the latter figure excluding a R55 million sale. 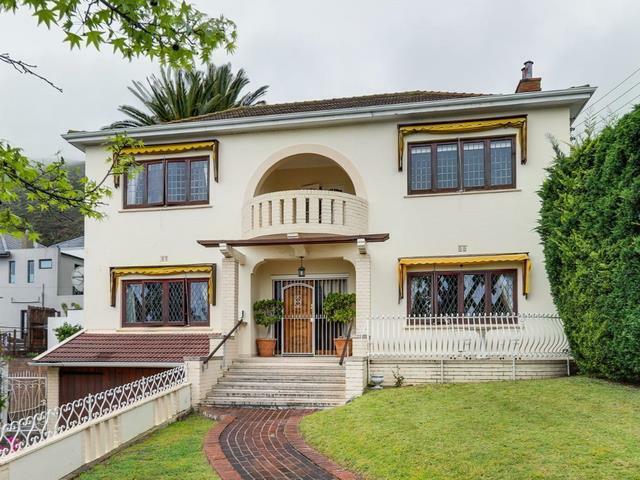 However, compared to the market performance of many other upmarket Cape Town suburbs, these enclaves have weathered the storm remarkably well considering the phenomenal growth experienced during the last decade, as well as their price points. Kaplan and Segal point out the fact that 51% of all current homeowners in Fresnaye and 48% in Bantry Bay have owned their properties for eleven years or longer, demonstrating the perceived investment value of these suburbs. “It’s also interesting to note that Lightstone data further reveals that the vast majority of buyers during the last twelve months fell under the demographic of investors who generally have school-going children and regard property as a long-term investment,” say the agents. “Despite market conditions, Fresnaye and Bantry Bay remain two of the most sought-after residential suburbs in the country for a number of compelling reasons, not least their unique positioning,” says Miller.